Halloween is tomorrow. One of our favorite times of year here at Canvas Press! 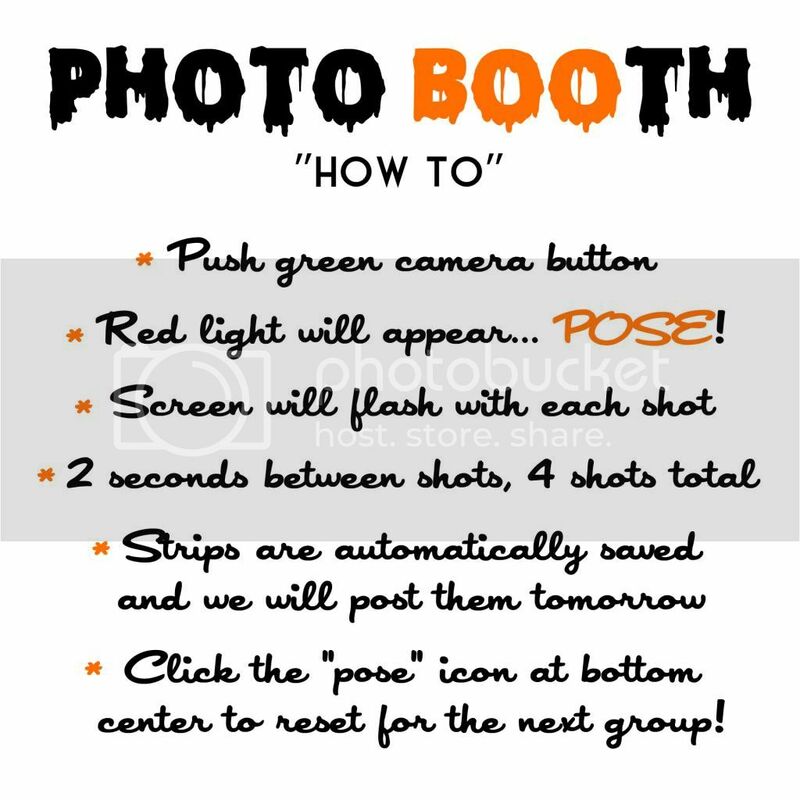 If you are going to a Halloween Party, Caroline has the perfect idea on how to create a photo booth with nothing but your iPhone. Take it away Caroline! I’ve been planning a Halloween party and since Photo Booths are all the rage now we wanted to set one up. However, I was not inclined to create the whole setup with my professional gear, especially since I’ve personally never DONE a photo booth before. I thought, "Surely there’s an app for that?" There is! I looked at many of them and actually paid $2.99 to get Pocketbooth by Project Box for iPad (it’s also available for iPhone, Android, Windows and Nokia). It’s the classic 4 shot photo strip that is super easy to setup and use. Preset if you want it to shoot in any effects, automatically save to your camera roll, and many other functions. We are setting the "booth" up in a brightly lit corner of the room with a plastic Halloween door decoration backdrop. The iPad will sit on a music stand to hold it in place and I’ve made a Halloween themed instruction list to sit next to it. It’s included here if you want to download and print it yourself! The last instruction on the list is specific to the iPad version of the app so just be aware of that depending on what you decide to use. Also, because I don’t want some of the party animals to mess with other functions on my iPad I’ll put it in airplane mode and use the "Guided Access" parental control. This will lock it so that ONLY that app can be used and it requires a passcode to get out. To find Guided Access on iOS 7 go to Settings: General: Accessibility: Guided Access. Need some new frames to spruce up that artwork. Take a look at a thrift store first. You will find some unique frames and you can always clean them up with can of spray paint.